About Us – Olive Branch Lodge No. 16 F. & A. M.
The Grand Lodge of New Jersey was organized at a convention of Free and Accepted Masons of the state, held at New Brunswick, December 18, 1786. At this meeting, a dispensation was granted to Bro. Jonathan Rhea to open a lodge at Freehold. On July 3, 1787, at a meeting held in Trenton, a warrant was issued agreeing to establish Trinity Lodge No.3. The meeting time of trinity lodge No.3 is recorded as on the 1st Monday of each month. Representatives of trinity lodge No.3 are recorded as attending Grand Lodge communications in 1789 and 1791. In 1793, the warrant of Trinity Lodge No.3 was surrendered and the master “prayed the indulgence of the Grand Lodge for time to make up their accounts, and assured the Grand Lodge that all monies due should be honorably and punctually paid.” after this time the name of Bro. Jonathan rhea appears in the minutes of Trenton lodge No.5, where he became an officer. He was also treasurer of the Grand Lodge for several years.On November 14, 1815, a warrant was granted to Bro. John P. Lewis, Master, Bro. Jonathan Morris, SW, and Bro. Alexander McGregor, JW,for a lodge named Shrewsbury Washington Lodge No.34. Between that time and 1842 numerous lodges were stricken from the rolls or ceased work because of anti-Masonic activity and other factors. Shrewsbury Washington Lodge No.34 ceased work, but retained its warrant. The remaining lodges were renumbered, and Shrewsbury Washington Lodge No.34 was accorded No.9. Bro. John P. Lewis, who by then was Most Worshipful Grand Master, was applied to for a dispensation by brothers John B. Throckmorton, Samuel Laird, Rutus Bergen, Peter Palmer, Hugh Newell, James W. Andrews, William D. Davis, John D. Cottrel and David C. Conover, all members of Shrewsbury Washington Lodge No.9, to form a lodge in Freehold to be known as Olive Branch Lodge No.16. This was the title and number of a lodge located “at Phillipsburg in the county of Sussex”, whose warrant was granted on January 9, 1799, and was one of the lodges stricken from the rolls in 1842.A dispensation was granted on October 20, 1849 by the grand master “with full powers and authority to enter, pass and raise to the sublime degree of master mason such candidates as may be found worthy and well qualified.” The warrant was granted on January 9, 1850 at the Grand Lodge annual meeting. The first Worshipful Master was Bro. John P. Throckmorton and the first Secretary was Bro.William D. Davis. Bro. Davis along with Bros. Peter Parker and David C. Conover comprised the interview committee for the first petitioner, Bro. Dr. John Vought. Interestingly, Bro. Vought was passed and raised on the same day: December 11, 1849. Olive Branch Lodge No.16 soon fell on hard times and held no communications from December 3, 1851 to December 26, 1856 on which date it was “resuscitated.” The first four petitions received on January 7, 1857 following the revival of the lodge contained two names of special note, Viz., Joseph D. Bedle and Joel Parker. These two brothers served as governor of New Jersey (Parker twice) as well as Justice of the NJ Supreme Court during their illustrious careers in public service. Coincidentally, they were both raised in Olive Branch Lodge No.16 on April 24, 1857. Most Worshipful Grand Master J. Clarence Conover was raised in Olive Branch Lodge No.16 on February 11, 1895, served as Worshipful Master in 1902, then as Grand Master in 1909. He resumed activity in Olive Branch Lodge No.16 serving as Chaplain from 1910 to 1919, the year he passed away. 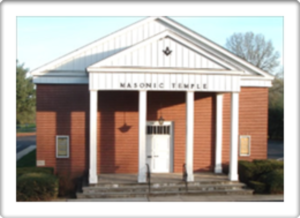 Olive Branch Lodge No.16 continues today, over one hundred sixty years old, dedicated to upholding the purest principals of Freemasonry, and a viable and contributing member of the 17th Masonic District of the Free and Accepted Masons of the State of New Jersey.